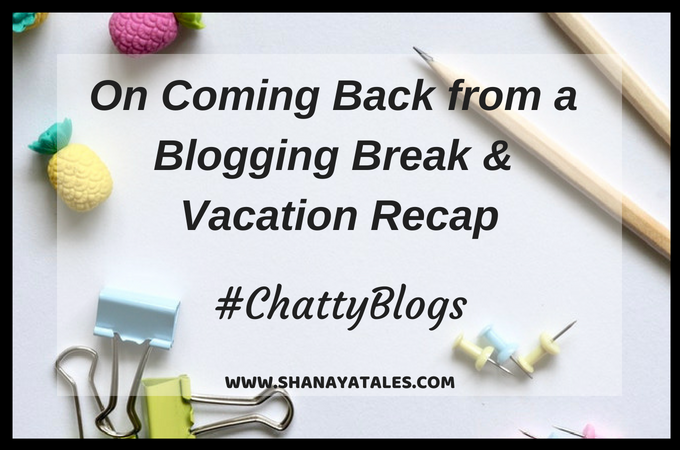 I am back from the blogging break, which means it’s back to regularly scheduled programming around here. 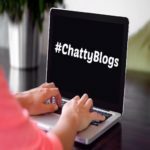 And that my friends means a Chatty Blogs post (and linky) on the 15th of every month, so here it is! Having said that, to be honest, when I sat down to write this post, I was at a complete loss for words. I knew what I wanted to talk/write about, but the words just did not flow. For the longest time I simply kept staring at the blank note on the screen, as if staring would automatically produce the words that need to be written. And at any rate, all the loss of momentum, flow, and whatever else is completely worth it, especially when you’ve just taken one of the most fun vacations of your life. Which is exactly what I did. So I thought I’d share the highlights with you all as well, which might be especially useful if any of y’all are planning a trip down there. However, please note that I’ll be doing a more detailed post on Walt Disney World and Universal Studios in the coming weeks, sharing the top things to do, some handy tips, as well as the best resources to plan your vacation. This post is mostly a quick overview of the entire experience. So originally when we planned this vacation, we only meant to go to Universal Studios, because well it has Harry Potter World, and do I really need another reason? But then we found out that Walt Disney World was only 20 minutes away from Universal Studios. And considering we were already flying all the way over there and Disney is kind of a world famous destination, we thought what the hell, let’s get it done as well. Having said that, Universal was still the priority, so we spent 4 out of 5 of our days in the 3 Universal parks, and only 1 day at Disney. Which meant we only did 1 Disney Park, out of the 4 theme parks, and 2 water parks that Disney has to offer. So you should know that our Disney experience is limited in that sense. However the one park we chose was Magic Kingdom, which is Disney’s most famous and iconic park, so I don’t really have any regrets. And honestly I am super glad that we only did that one park, because even though it was kind of sweet and nostalgic and all that, it was also kind of underwhelming. To be fair, it’s mostly because we are roller coaster people, and the Magic Kingdom was mainly a ‘experience’ oriented park. Not that there weren’t any rides, there were many options, and we did enjoy all of them. But mostly our day involved standing in super long lines (even though we had gone during off peak season) for a 3-5 minute 3D/4D show. And after a while all of us were over it. Yes, all 3 of us. In-fact I thought D would enjoy it more than he did, but I guess he is a little too grown up for Disney? Because he constantly pointed out that it was baby stuff. It was NOT. But well 6 year olds have a different world view about what exactly constitutes baby stuff. However (and I don’t mean this in a sexist way – only saying this because we need such disclaimers in 2018. sigh.) I feel like girls would possibly enjoy Disney more than boys? Especially because I know my younger self wouldn’t have cared as much about the rides, and would have been totally down for Disney experience, especially the princess dress up stuff. That being said, Universal parks were wonderful. Yes, they had their share of ‘experience rides’, but they were a whole lot more fun, so we didn’t mind them as much. In-fact we really enjoyed most of them. And then there were the roller coasters, which I have to tell you were some of the coolest ones I’ve seen and been on anywhere (and I’ve tried out some crazy coasters in the past). And all of this was outside of the main attraction (for me anyway), which of-course was The Wizarding World of Harry Potter. However I think I will talk more about that in a seperate post, because otherwise this post will turn out to be 10000 words long at the very minimum. Also, I have taken a lot of pictures there, which I would love to share, and don’t want to dump it all in this post. However I’ll say this for now. I used to love roller coasters. But then I experienced the Harry Potter rides, which combined the Harry Potter experience with the roller coasters. Which meant that during the ride, we were flying through Hogwarts, escaping from dragons, riding alongside Harry in the Quidditch field chasing the snitch, facing dementors, and even deflecting spells from Bellatrix Lestrange and Lord Voldemort. And after experiencing that – I just have to say this: Sorry vanilla variety coasters – you are just not good enough for me anymore, we need to part ways, my friend. So anyway (coming back from the Potterhead tangent), like I was saying earlier, Universal has 3 parks, the main 2 theme parks (Universal Studios Florida & Islands of Adventure) are right next to each other, and are connected by the Hogwarts Express. The third (relatively new) park is Volcano Bay, which is a couple miles away from the first 2 parks, and is a water park. And while it’s not nearly as big as the 2 original parks, it’s one of the coolest water parks we have been to, especially considering the Tapu Tapu system of virtual waiting lines. So all in all, we spent 4 days at Universal, 1 day in the water park, and 3 days exploring Universal Studios Florida & Islands of Adventure, and that gave us enough time to do all the rides (and repeats), fully appreciate the experiences, including the biggest attraction, which was The Wizarding World of Harry Potter. And overall it was a super fun vacation. Which is why I’d highly recommend it to everyone, Potterhead or not, keep Universal Studios, Florida on your list of places to visit in US, and trust me you will not regret it. As for me, I plan to go back there in some years. Once I’ve visited (and checked off) some more places from my USA bucket list, and most definitely after my son has read all the books in Harry Potter series. Because he has asked to get a wand of his own when we go there next time, and my condition for him to be ‘eligible’ for the wand is that he reads all the books. What? Don’t judge! A girl has got to do what she has got to do, to get her child to read her favorite book series. That’s all from my end folks. I would love to hear from you! When and where did you take your last vacation? Was it a place on your bucket list? Do you believe in having travel bucket lists? Do share! Will try joining in with my chatty post probably by Monday. Glad you had a great trip. Waiting for a detailed post on the theme park visits. I don’t think Disney is just for girls though. My husband is also a huge Disney fan, mostly because we both grew up watching Disney movies as kids. I had a constant dose of animation movies and rewatched them so many times that visiting Disneyland was like a dream come true for me. But I get you, if you are not a Disney fan, you may not enjoy the park much. Btw I prefer the other Disney theme parks. Magic Kingdom is for small children. My son loved it when he was 2 yrs old. Ooohh that is probably it. We only went to Magic Kingdom, which is why our Disney experience is limited to that. Will possibly try out the other parks next time. 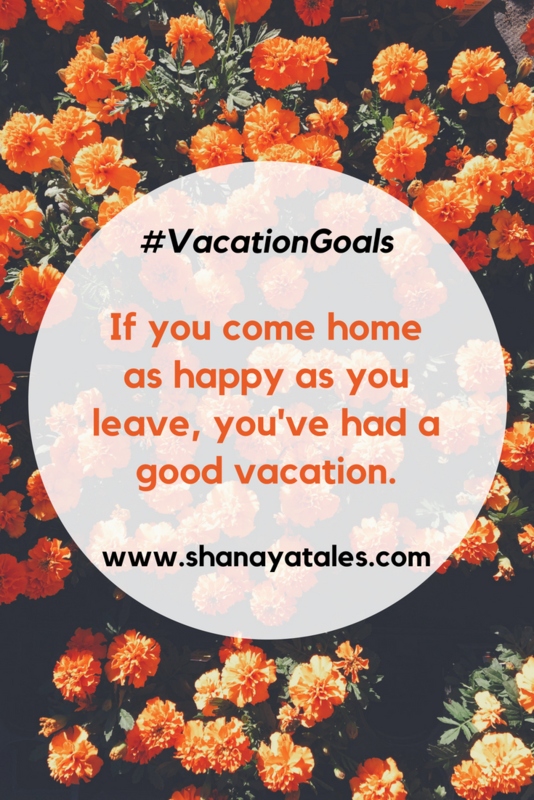 I haven’t really had a vacation in years ! The last one probably was a weekend in Dubai. Not exact on my bucket list but definitely worth visiting . I spent a weekend in Cleveland and 10 days in California in October 2016 but those were holidays where I did nothing but chill, chit chat and catch up with a friend and some cousins . Those kinds of holidays are fun too. I think we need both kinds of vacations – the ones where we sight-see and explore, and the ones were we only sit back, relax, chit chat & do nothing much. Ah! I can relate to the staring at the screen so well. Glad that you were able to write this post. Thank you so much, Shilpa. The posts are coming soon! Loved your quote on Vacation. Harry Potter rides feels like a great experience. It was an amazing experience. Will write more about it in a dedicated post, which will be coming soon. My last vacation was to the Outer Banks of North Carolina, and it was super fun! I read and walked on the beach and went to an extremely delightful independent bookstore. Your vacation sounds amaaaaaazing! I cannot wait to hear more about Harry Potter World — a friend and I were talking about trying to do that this year but it ended up not being possible schedule- or money-wise. Another time! Oh that sounds wonderful. I haven’t had the chance to visit the outer banks, but it’s definitely on the list. I don’t like roller coasters, they terrify me :/ Yes, I know, all my friends hate me suitably. That virtual systems seems so damn cool, thanks for sharing that, I’d never heard of it. Yeah, I thought I was the only one who thought so, but Rachna seems to agree that Disney is more of a girly park. Actually that’s not completely fair. I am sure the smaller kids, boys or girls would enjoy it equally. Also, this is only about Magic Kingdom, and Disney has more parks, which I have heard are fun irrespective of gender and age. Honestly, I’m terribly envious of you for getting to visit the HP world. And you got a wand, come on! Roller coasters, not for me. They creep me out and being a migraine patient doesn’t help either! Vacations are stress busters, but once you are back it does take a considerable amount of time to get used to the grind. I’m glad you are back after having so much fun! Thank you so much, Soumya. This vacation was a dream come true. You should definitely keep The Wizarding World of Harry Potter on your travel bucket list. The coasters are not too intense, and the experience is a whole lot of fun. Your vacation has been so good and memorable indeed. I have been following your FB status updates too on the goodies brought from this travel. Potter stuff is just amazing. Why aren’t these available here- *Sigh* . Would link up my latest post. Yay, thank you for linking up, Pratikshya. Oh and yes, The Wizarding World was dreamy, and exceeded all expectations I had. You should definitely keep that place on your travel bucket list! Wow! looks like you had a great time. Waiting for the detailed post!! I’ve visited Universal Studios in California and Disney World in Paris. Though they were different from what you described, I did feel what you said about Disney to be true. My boys didn’t enjoy all the Princess and ‘girly’ stuff but they did like the Rollercoasters and fun rides that were there. Loved the pics of the vacation that you shared. Glad to see you could get back into the blogging game. I’m still struggling from the after-effects of the post AtoZ break! Oh and The Wizarding World was amazing, and you should definitely plan a visit there soon! I thoroughly enjoyed your post opening. 😁 What a start after a great vacation! I loved the pictures you shared on Insta. That looked like so much fun. The wizarding world experience is something I am looking forward to. Since my daughter is just 1, I think I can use up sometime to plan it. A nice way to make your son read our generation’s epic read. I loved roller coasters. I used to be all nervous until I get in and then it is all about going with the flow. Since it’s been almost two years since I visited a theme park, I am not sure about it. I must visit one to know my feeling. 😂 I am waiting/willing to read another 10000 words of HP and I know I would love it. Thank you so much, Jayanthi. You should definitely check out The Wizarding World of Harry Potter. If you are a Potterhead who loves coasters, you are in for a double treat, and the experience of a lifetime!